Even ten years removed, it's virtually impossible to write about UK singer Estelle without mentioning 2008's "American Boy." She's both cool and over it. "Where's 'American Boy part two'? I still get that. It's unreal, as that record is old!" she says with a laugh. Her latest record — her last one was 2015's True Romance — is conceptually a reggae record. While Estelle's love for the genre has been clear across her now-five-album discography, the aptly titled Lovers Rock tackles the genre straight up, with guest appearances by reggae stars Konshens, Tarrus Riley and Chronixx. Estelle tells Exclaim! that her musical sensibilities have always orbited reggae music and also soca, African music — sounds that she grew up on living in West London and having Senegalese and Grenadian heritage. "That's what I grew up on — it's the root and core of what I do," the 38-year old singer-songwriter and producer says. "It was like a natural progression. As I started making it everyone was so excited about the record," she adds. The 14-track album pays reverence to the smooth sounds of its titular subgenre, noted for its romantic sound and content. 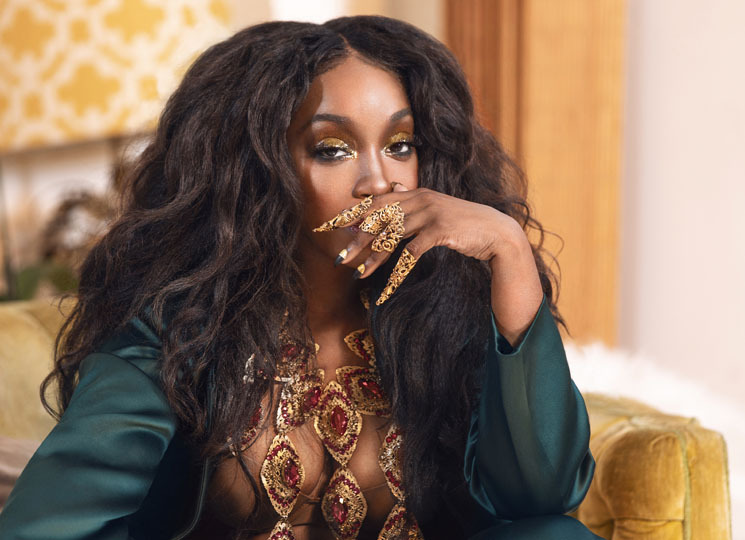 But there is a personal connection to it as well: Estelle was going through some personal and career ups-and-downs that she was working through, and wanted the record to be about the love story of her parents, who separated when she was young, only to reunite and remarry years later. "I was writing the album trying to figure out why I am the why I am. I was born in the middle of the 'lovers rock' era and that's why I probably love it so much. It really is the sound of my youth, of my childhood," she says. "My parents met during that era and my dad was in a band that played it. I asked them first about doing this record when I knew it was going in this direction, and they were so sweet and encouraging about it," she says, adding that it was therapeutic and healing for her to create. "I want to give people the idea and the example that it's never too late to find the love of your life or be the love of your life. You can change your scenario and be a better human." It took about six years to create the record, she says, adding that she was working on the project between other releases. Working with guest stars came about the last year, recording closely with the aforementioned Riley and Chronixx. "The features came quite naturally. We just reached out to these artists and they said yes. Chronixx was in New York at the time and I had this idea and thought he would be perfect complement to it." At this stage in the game, Estelle in a good place, she says. "What I'm here for is to make good music and I just do that," she says as her way of avoiding any negativity in the music industry. And since 2013, she been earning a new fan base outside of music as part of the popular animated series Steven Universe, where she's the voice of the magical humanoid alien known as Garnet. The hit kid's show is a serialized coming-of-age tale with mature themes about tolerance and accepting who you are. That whole experience has been unreal and she's glad to be a part of it, she notes. "I'm glad that the cartoon exists because it kind of gives a way for parents to educate their kids on a worldview around acceptance. There are things about just how to be and live, about meditation, about things that aren't widely accepted in the community. It's about letting kids know about how they can deal with themselves in the world and how to live together." Now that Lovers Rock is out, expect videos — that she personally had a hand in directing — around singles "Sweetly" and "So Easy" featuring Luke James. Lovers Rock, for Estelle, is the start of a career renewal and rebirth, along with the sweet reggae sounds. "I'm excited for people to see that," she says. Lovers Rock is out now on VP Records.